Stockholm, Sweden — Hudson Yards, the biggest construction project on Manhattan for years, has chosen Envac’s underground waste transport system. “This is the definitive breakthrough for us in the American market,” explains a proud Christer Öjdemark, CEO of Envac. The project, which in its first phase involves 600 apartments, 75,000 m2 of retail space, 220,000 m2 of offices and 180 hotel rooms, has a total budget of USD 20 billion. 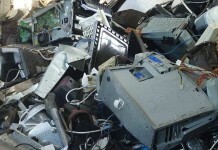 Envac’s system will process 24 tonnes of waste every day, broken down into three separate fractions. The vacuum waste collection system will be taken into operation in 2015. The total order value is SEK 30 million for the first phase of the project, and the same amount for the next phase. “The decision to install Envac’s vacuum waste collection system in such a prestigious project will create ripples not just in North America, but all over the world.” Hudson Yards is an extremely complex project in which the railway tracks to and from Pennsylvania Station are being bridged and 16 skyscrapers are being built. 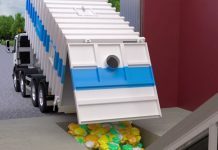 Envac is a world-leading supplier of what are known as underground transport systems for waste, and is at the same time one of Sweden’s most influential green technology companies with sales in 20 countries. The technology eliminates any need for the open-air handling of waste in city centres, residential areas, hospitals and airports. Envac’s sales have been increasing healthily during the first half of 2014. 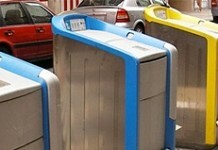 In addition to the New York project, a number of important cities have opted for the technology. The biggest construction project in Paris, Clichy-Batignolles, is being built using Envac systems, an order worth SEK 60 million, which was taken into operation in the spring. During the spring Envac also received an order for the “new capital city” of Sejong, which is being built in South Korea. Sejong is 100 km south of Seoul and is a totally new city, in which Envac’s systems are being installed as standard for waste collection. Another important, high-prestige project was brought home this spring in the state of Gujarat in India. Envac will be delivering both the transport system and the waste sorting facility for a new Indian financial centre, which is being built as a “smart city” concept. The project, which was initiated by Indian Prime Minister Narendra Modi when he was Chief Minister of Gujarat, is the most modern and most spectacular urban development project currently under way in India. The aim is to build a global financial hub that can compare with Dubai, London Docklands, Lujiazui in Shanghai and La Defence in Paris. Having built around 80 systems for the private market in Singapore, Envac has now received the first major order from the city’s own construction company HDB, to a total value of SEK 100 million. This is a very important order, as HDB manages 85 percent of all apartments in Singapore. Another important breakthrough is the decision by the Mayor of Beijing to install Envac in Tongzhou New City, a totally new city centre in Beijing. A decision that was made this spring and is the culmination of the support and assistance that Envac received from both the Swedish Embassy in Beijing and Mats Denninger, the Swedish Government’s coordinator for Swedish exports of green technology to, among others, China. “We’re cautiously optimistic about the future,” emphasises Öjdemark. “More and more major metropolises have chosen to invest in our infrastructure systems and have come to realise that streets and squares are far too valuable to be used as temporary storage and holding area for waste. Our successful installation of vacuum waste systems at Strömkajen in Stockholm, where 14 self-emptying waste bins, 5 waste inlets for archipelago traffic and 4 inlets at Grand Hôtel are drawn underground to a terminal located underground right in front of the National Museum, is an excellent example of how vacuum waste systems can create nice, clean areas, even in central and historically sensitive environments. We’re now seeing our systematic investments in developing both the market and the technology starting to bear fruit,” concludes Öjdemark.